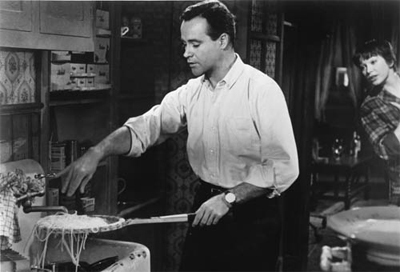 The Apartment is a classic romantic comedy, and deservedly so. Reuniting director Billy Wilder with actor Jack Lemmon, it’s a wonderfully dysfunctional look at life in the big city, and the compromises the people find themselves forced into. While I think the movie probably works better as a romantic drama than as a comedy – with some outstanding moments of bleakness, including a serious suicide attempt and another false alarm towards the end – Wilder and Lemmon do an exceptional job keeping the movie just light enough that the darker elements don’t overwhelm the film. It is a piece of cinematic history, and one that holds up as well today as it ever did.